Mark down the name 'Eekkoo' because you aren't likely to be forgetting it soon. It's the moniker of 29 year-old producer and sound-design teacher Jonathan Doyon. Hailing from Montreal, Canada, Eekkoo is the latest signee to deadmau5's iconic mau5trap records. After breaking the likes of Skrillex and Feed Me, it seems deadmau5 has his sights set on new talent, and we think he's right on the money. The self-titled "Eekkoo EP" came out on Monday December 16. 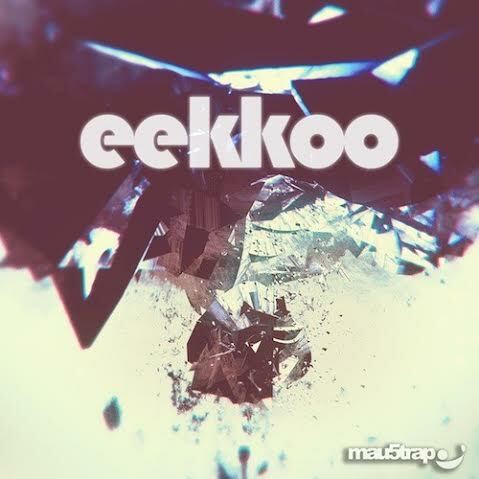 A three-track effort, the release sees Eekkoo dive into a world of dark, hard-hitting progressive house. With strong techno influences on all three tracks, this release isn't for the bubbly EDM generation – it's for dark rooms and big sound systems. “Funktion” is the hardest of the three. With a punchy, aggressive kick drum and a strong distortion-fuelled lead, it brings the listener into a world of psychedelic mania. And it's oozing with a sort of dark sexuality that's hard to place. “Kodes” is our favourite track off this release. The incredible sound design and attention to detail throughout this song blew me away. Eekkoo is truly an expert at his craft. From the epic breakdown to the hard-hitting percussion and uplifting spirit of the piece this track is just amazing! Remember the name Eekkoo. He's here to stay. @mau5trap Thanks for publishing this great review of the Eekkoo EP. Fabian Luttenberger releases the beautiful "Koyou"